Home > Uncategorized	> Meme Directory for the Book Bloggers! 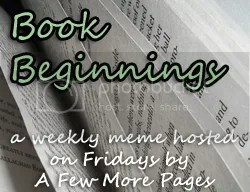 Meme Directory for the Book Bloggers! BBB is a book haul linky party to showcase all the great books (new, used, vintage, electronic, audio) that we bargain book lovers score on sale… dirt cheap… or free. Each Monday through Thursday, everyone is invited to carouse, make merry and revel with bargain book abandon! BBB book(s) do not have to be current purchases. If a past book bargain did not get the bravo it deserved from your real life friends/family, claim your bragging rights now! 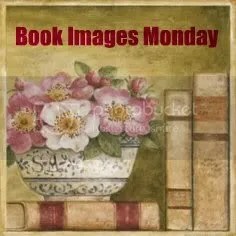 I’d love for you to participate in Bookish Images Monday. They can just be interesting or pretty book covers if you want. Or just pictures of books, bookcases, libraries or bookstores. Or they can be humorous, or vintage, or related to movies based on books. They just need to be book-related in some way. 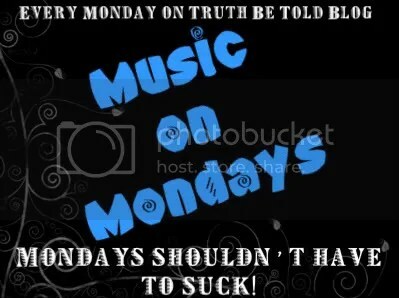 I will post mine weekly and usually on Mondays, but you can post it on any day and whenever it is possible for you. The point of this meme is to admire the art and beauty of a book’s design, so I’m going to post minimal words. It is up to you to write how you feel and what you like about it the way you’d like to. Hello all my fellow bloggers and readers, another week has begun and it’s time to look forward and see what this week will bring. I hope you will play along in this meme. Here you’ll find the Mailbox Monday story, hosting details, tour schedule and my personal mailbox posts. Mailbox Monday is a gathering place for readers to share the books that came into their house last week and explore great book blogs. Warning: Mailbox Monday can lead to envy, toppling TBR piles and humongous wish lists. If you want to join in the MMGM fun, all you have to do is blog about a middle grade book you love (contests, author interviews and whatnot also count–but are most definitely not required) and email me the title of the book you’re featuring and a link to your blog. It’s easier if you email me before Monday, that way your link will be included in the post from the moment it goes live. 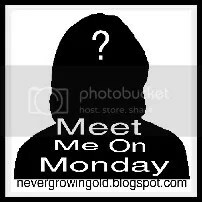 But if you decide to spontaneously join the fun, I do update the post at several points throughout the Monday. Just email me a link and I’ll add you when I do! Write a post that includes a music video or song title! 10 Good Things on a Monday is a weekly feature I am doing dedicated to every person’s compulsive list-writing. Every Monday we are going to make a list of 10 things that will cheer us up and help tide us over the whole week. And this is just Monday! Check out the other MEMES for the other days of the week after the jump! Dusty Reads is a weekly post featuring a book that has been sitting unread on my home shelf for some time. After several requests, I have decided to make this a public weekly meme. To participate, add your name to the linky below my post and try to visit a few of the others. My posts go up every Tuesday, but you can chose a different day. Looking for more bookish tweeps to follow and vice versa? If the answer is yes, Great Tweetpectations is the Twitter hop for you! If you tweet about books or book related topics all or part of the time, link up! Appearing on random Tuesdays, Really Random Tuesday is a way to post odds and ends–announcements, musings, quotes, photos–any blogging and book-related things you can think of. If you’re inspired by this idea, feel free to copy the button and use it on your own blog. Please leave a link in the comments if you’re participating and I’ll add it to this post. Welcome to Thumbs Up Tuesdays! I started this meme because I believe that bloggers should celebrate each other. Sometimes as a blogger, you put your heart and soul into a post and you get no feedback or recognition. So that is why I created Thumbs Up Tuesdays! What better way than to top off a good book than with a GREAT Cover! Top Ten Tuesday is an original feature/weekly meme created here at The Broke and the Bookish. This feature was created because we are particularly fond of lists here at The Broke and the Bookish. We’d love to share our lists with other bookish folks and would LOVE to see your top ten lists! Each week we will post a new Top Ten list that one of our bloggers here at The Broke and the Bookish will answer. Everyone is welcome to join. A weekly feature hosted by me that showcases music – my other passion in life besides books! Each week I will post a new or old song in hopes to gain more interest. Help me in spreading the love of music! Feel free to get involved with this feature by linking up at the bottom of this post, thanks! Boys in books are just better. Right? Well, let’s put them to the test. Welcome to My Book Boyfriend. A new weekly meme, hosted by me, in which we swoon over boys in books! What book are you reading currently? Author? What is it about? Are you enjoying it? Would you recommend it to your friends? Is it an Arc and if so when is it due for release? Wishlist Wednesday is a book blog hop where we will post about one book per week that has been on our wishlist for some time, or just added (it’s entirely up to you), that we can’t wait to get off the wishlist and onto our wonderful shelves. Wondrous Words Wednesday is a weekly meme where we share new (to us) words that we’ve encountered in our reading. If you want to play along, grab the button, write a post and come back and add your link to Mr. Linky! When you’re done, come back here and post a quick comment or trackback letting everyone know so we can read your responses. Be sure to leave a link to your actual post! No pride or prejudice here. At Like And Likeabilty Thursday, experience a delightful time spent in the company of agreeable people of the bookish persuasion. Welcome to the Literary Blog Hop hosted by The Blue Bookcase! This blog hop is open to blogs that primarily feature book reviews of literary fiction, classic literature, and general literary discussion. We’ve started a meme — for you! WHY? We know that the surest way to get good things in life is to be thankful for what you already have. So why not encourage a group thankful-fest once a week in which we send out good energy and hope to get some back in return? Come join us every Thursday by posting a favorite line from your book boyfriend to his heroine. Keep in mind these are direct quotes from dialogue in a book. It is NOT a physical description of a male protag or a paragraph of dialogue. Top Spot is a new monthly blog meme hosted by the Skype Sisters. Every month we will get together to share our favorite read from that month and we would love for you join us! This meme will take place over the last weekend of every month (posts the last Thursday evening of the month), giving us all a chance to gush over the great reads we’ve encountered and bring an awesome ending to the current month. The Top Spot book can be anything you’ve read, whether it’s old or new, an ARC or a finished copy. The “What Are YOU Reading” Feature will be published every Thursday. What this will be is an opportunity for all of you, my readers, to submit your reviews of the wonderful clean romances that you have read. Just fill out the form and submit the review. Every Thursday I will select one review to post. As a thank-you for sharing your review, I will post a link back to your personal review, blog, website or whatever else you’d like. So, let me know….what have YOU been reading? Share the first line (or two) of the book you are currently reading on your blog or in the comments. Include the title and the author so we know what you’re reading. Then, if you would like, let us know what your first impressions were based on that first line, and let us know if you liked or did not like the sentence. 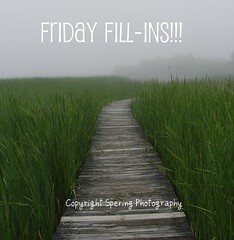 The link-up will be at A Few More Pages every Friday and will be open for the entire week. 18 and over book bloggers tag along is for adult book bloggers to get to know each other and hopefully gain more followers. It doesn’t matter what sub-genre you read as long as you read and review adult books. Book to Film Fridays are your opportunity to tell us who you imagine would play a specific character if the book or series became a movie. Of course, we’ll also be sharing our ideas and opinions too. The purpose of all this…to have fun…and maybe to sway some Hollywood casting agents!! It’s simple! Simply post what you’ve read this week, or if you prefer you can do it on a monthly basis, or every other week. It’s completely up to you! You can post in whatever way you like. Such a simple blog post, vlog or even a photo of the books themselves. I’m going to do a mixture of the photo and blog post with links to the reviews I’ve done for these books. So often we know All About the Books and Blogs, but not about the People behind them! I hope we can learn more about each other and establish a tighter community of friends! Just answer five (5) fill-in-the-blank questions each Friday! What great books did you hear about/discover this past week? Share with us your FRIDAY FINDS! Each Friday we will post a question or topic, then respond with our five choices. With this Meme I will ask you 5 question which could be book related or not so we can get to know each other better! The only rule is you can’t use the same answer twice! Who’s ready for the weekend?! I know I am! 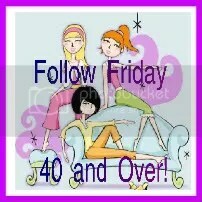 I’m introducing a new feature for Fridays to re-cap the week’s posts & to propose a question for my followers. Feel free to get involved by linking up at the bottom. If not, I’d love to read your responses in the comments. Thanks! *Grab a book, any book. *Turn to page 56. *Find any sentence that grabs you. *Post it. *Add your (url) post below in Linky. It’s that simple. This is a brand new meme to display all those beautiful, funny, crazy and even those that make you think book covers you come across each week. I don’t know about the rest of you, but I love looking at different book covers. You may not be able to judge a book by its cover, but they are sure fun to look at. My wishlist is so long! There are old books, current books, and future releases all on my wishlist waiting to be bought and devoured. And to be honest, most of the books stay on my wishlist as I just can’t buy them all, there are far too many and so no-one gets to hear about these amazing books. So I thought I would host a weekly meme to share the books that are on my wishlist, and if you are anything like me (and I have a feeling you are! ), then you will have a mega wishlist too. ‘On My Wishlist’ will be posted every Saturday. Please feel free to grab the button and create your own post. Add as many quotes as you wish, from whom ever you wish. It can even be lyrics to a song. Just tell us who it is. Anonymous welcome too. To participate in the Saturday Snapshot meme post a photo that you (or a friend or family member) have taken then leave a direct link to your post in the Mister Linky below. Photos can be old or new, and be of any subject as long as they are clean and appropriate for all eyes to see. How much detail you give in the caption is entirely up to you. Please don’t post random photos that you find online. Each Saturday I post a new book cover pick of the week. If you would like to participate, write a Shelf Candy post of your own and link to your Shelf Candy post by filling out the Link Form at the bottom of this page. Please remember to link back. If you need to know more you can read How To Participate In Shelf Candy. Style Saturday is a meme hosted by me where each week I present a prompt about reading style and explain my answer. Feel free to join in with your answer in the comments or leave a link to your Style Saturday on your blog. Feel free to suggest prompts. If you’re just joining us for the first time, you can post a poem about anything at all (yours or someone else’s) then link your post back to this one so those who visit your blog can find us and in turn visit the poem-rich bloggers contributing here. Every week there’ll be a different theme. One week might be “catch up on your library books” week and the next might be “redecorate your blog week” or “organize your challenges” week or “catch up on your reviews” week. It’ll be fairly bookblogocentric, but not exclusively. People like lists. 5 Best Books is a weekly meme that asks participants to list what they consider the 5 best books on a given topic. Take a sentence or two to tell us why you liked it. If you want to participate, grab the button and add your blog to Mister Linky. Every week I’d share the books I received that week… ones I’d bought, or gotten at the library, and ones that I’d receive to review on the blog. That way I could mention titles that might not otherwise get some face-time on The Story Siren. Initially In My Mailbox was something I did myself, but ultimately I thought it would be even better if other bloggers shared in the idea… thus the craziness of IMM was born! In My Mailbox is a great way for bloggers to socialize and network their blogs, it’s also a great way for bloggers to share upcoming releases! Each Sunday (Australian time!) I will be posting a random question – thanks to Plinky and I’ll answer it here. If you want to answer it as well, simply link back to us here and answer the question on your blog. Leave your link here too and then visit others who have participated! It’s a quick way to make new blogger friends! This is a new meme I created for us, book bloggers, to keep track of our blog status and our readers updated with what’s going on! We can support each other andget new contacts! It’s also a great ways for our readers to get to know new blogs. A Meme dedicated to discussing book covers. Pick a new cover artist or book cover each Sunday and discuss what you like about the design. Write a post listing your TOP 5 choices within the theme I chose (or was chosen on a poll) for the week. *Note* I did not include the Sunday Salon in the directory since they have closed off the Salon to new memberships. Oh, of course, please feel free to share! Thanks for the good word! Interesting, a meme just for Feb 29! FREE Amazon MP3 Download of the Day – Tripping Billies (Live At Wrigley Field) by Dave Matthews Band Today’s FREE eBooks for Download (June 1- Part 2) Non-Amazon!